We’d love your help. Let us know what’s wrong with this preview of Worship His Majesty by Jack W. Hayford. To ask other readers questions about Worship His Majesty, please sign up. I do not believe it is possible for Hayford to author a terrible book. His thoughts are always biblically based and illustrated with some personal stories. This will cause the reader to desire to live a life of worship. Excellent teaching on the power of worship! Must read!! 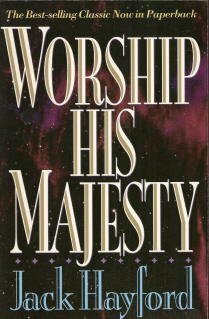 One of the best books on worship I've ever read...from author/pastor Jack Hayford, who also has written many worship songs in our time, including "Majesty, Worship His Majesty"!